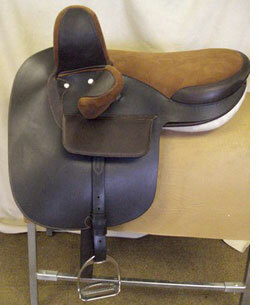 A selection of new or used saddles are for sale on behalf of owners or as direct sale. These vary in condition, and repair is sometimes necessary, so prices reflect this accordingly. Is it important to have your saddle correctly fitted? Laura Dempsey is an accomplished Master Saddler and maker of Side Saddles using both modern and traditional methods, with her achievements recognized and awarded in SMS National Saddlery Competitions. Side saddles are valuable items which deserve to be well cared for. Laura recommends that you check your saddle over each time it’s used to make sure all the stitching and leather, especially girth straps, are intact and safe. Then clean thoroughly and feed with a good quality leather conditioner. Not on the Doeskin please! Use a suede brush to bring up the nap. Don’t forget to check the underside of the panel. As this has to go against your horses back, ensure it is clean and smooth, with no hard lumps forming that may cause discomfort and affect your horses performance. Wipe over with a damp sponge, or if very dirty clean with plain soap and nailbrush. Rinse well without getting it too wet and leave to dry naturally. Fitting should also be monitored on a regular basis as your horse will change shape as his fitness levels increase or decrease. Even the smallest change can sometimes affect balance and fit. Remember, your own fitness levels and riding ability will also affect the saddle and your horse’s way of going, much more so than it would with an astride saddle. Ask an instructor or friend to check your straightness regularly and deal with any problems sooner rather than later. Contact your saddler if you have any concerns - that’s what we’re here for! By doing these simple everyday checks you and your horse will get more out of your side saddle riding. And remember, it’s supposed to be fun! Slide show: an 18” Owen that was refurbished by Laura. 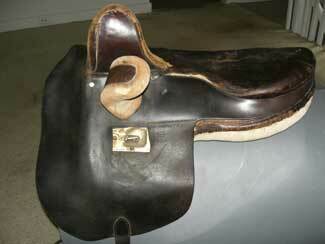 From battered leather seated saddle to one with a new Doeskin seat, new flaps and also new fixed and leaping heads. All girth straps were also renewed. With thanks to Kate Hopkins. PA, USA. Perhaps you have inherited or purchased a sidesaddle, which is in need of some refurbishment and repair. Laura will evaluate and produce an estimate before tackling any work on your behalf. With safety paramount, the saddle will be stripped back and rebuilt, as necessary, using traditional tried and tested craftsmanship methods. 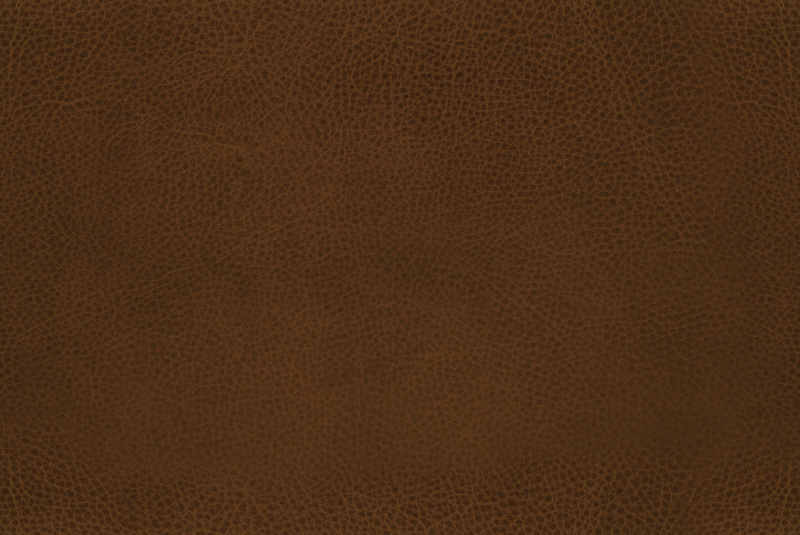 It may be some simple stitching needing attention, a complete re-flock, repair or replacement of damaged leather and a full recondition of the leather that is needed. Side Saddle is for everyone. You don’t have to ride a Thoroughbred to look elegant. This is Katy Downing with Waverhead Ted, a fabulous example of a Fell Pony, at the SSA National Show held at Addington Manor.